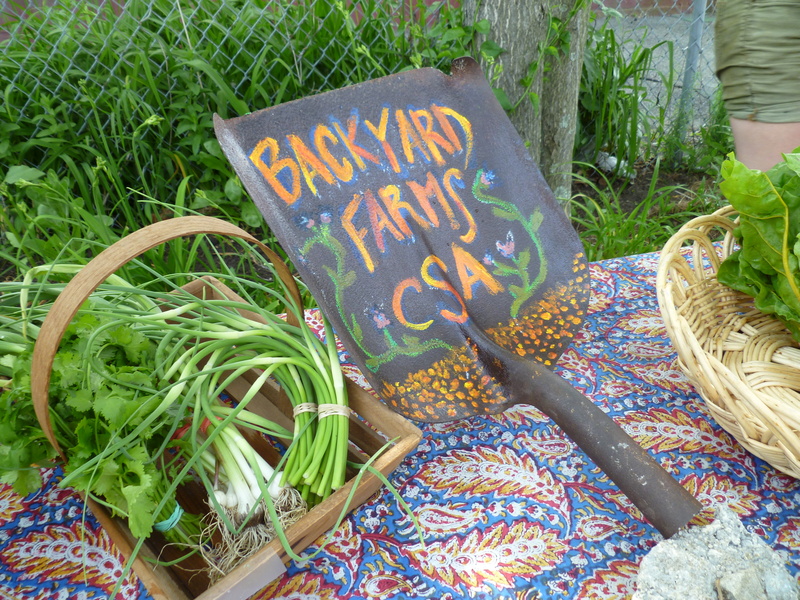 Backyard Farms Urban CSA is a collaboration between two farmers and three farms on the West Side of Providence: Anders operating Front Step Farm and Adam operating Florence and Manton & Sky Hill Farms. 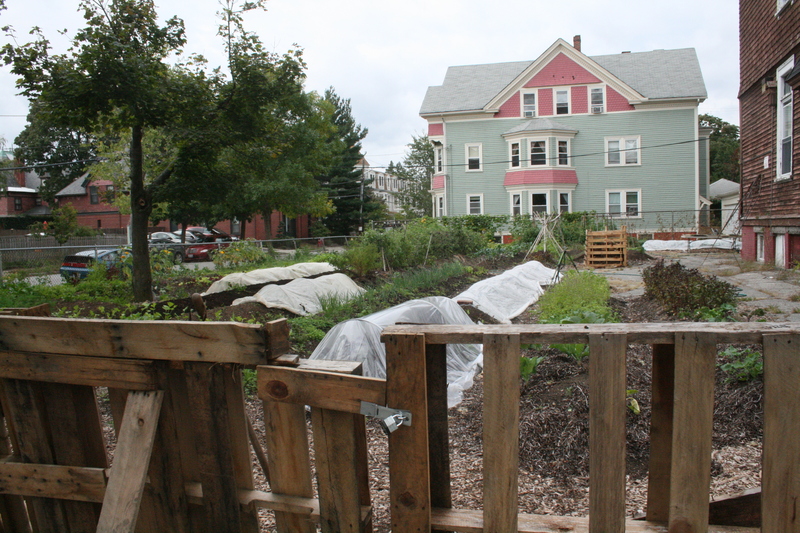 We grow food right here in Providence and sell produce to our neighbors. 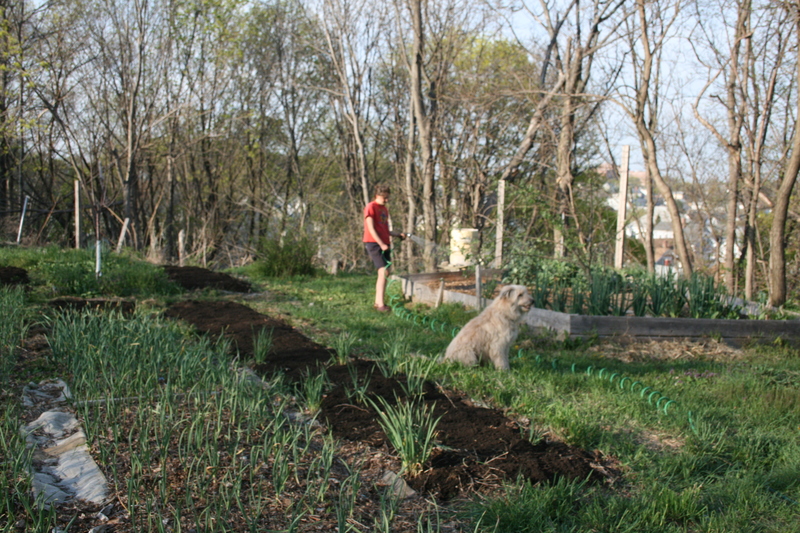 Our farms began as vacant lots: we cleaned up trash, hauled rubble, cut down weeds, brought in compost, and planted seeds. We participate in a hyper-local food system; using a bike cart to transport veggies to the Armory Park Farmers Market and to restaurants. School into an urban farm, and by the end of 2012 cleaned it up, built some great soil with seaweed, compost, manure, leaves and coffee grounds, and boy-oh-boy is it looking good now! My hope is to create an economically sustainable model of urban farming in which all my farm expenses are covered, and I make a living wage. Mostly I hope to help to decentralize a horribly out-of-balance food system, and create a sense of community in my favorite little city by bringing fertility to forgotten spaces, and growing healthy food. 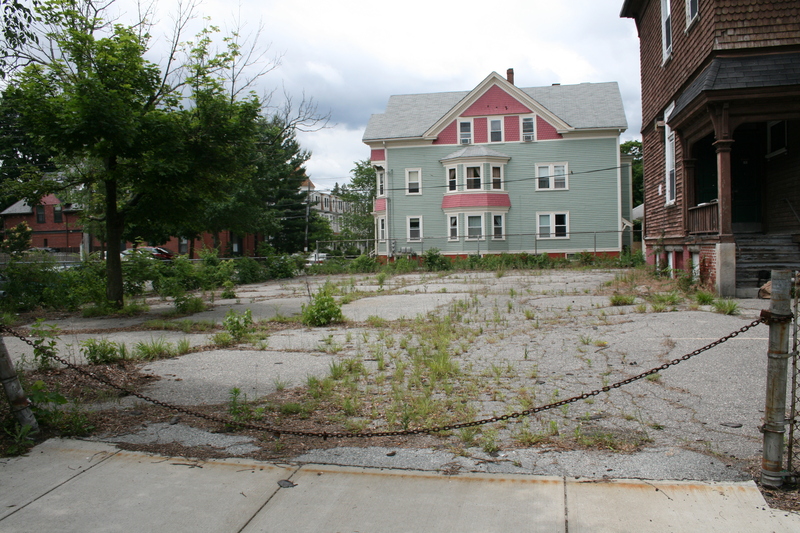 Florence & Manton Farm was sifted from the rubble in 2011 by Adam Graffunder in Olneyville, just up the hill from Atlantic Mills. The farm is on the south side of Mount Pleasant hill, built on a sandy fill. Natural compost and mineral soil amendments are used to build soil habitat and fertility. No artificial or concentrated chemical amendments, herbicides or pesticides are used at Florence & Manton Farm. What weed and pest control is done is with simple tools. 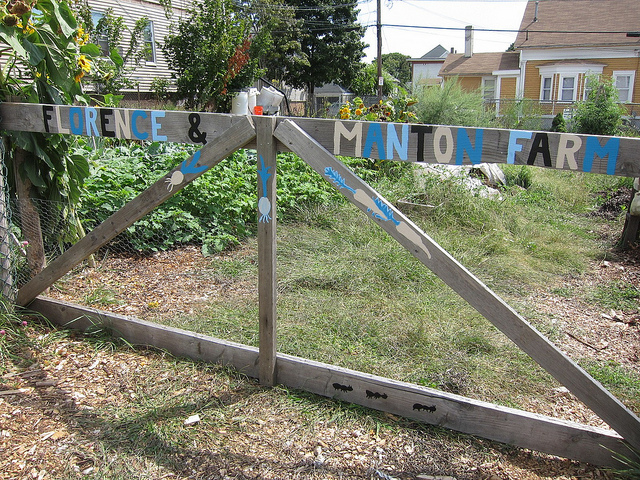 Tools, produce, and some compost materials are transported to and from Florence & Manton Farm by bicycle. This makes possible the net positive impact the farm has on the environment and community at many scales. Bicycle transportation also makes profit possible for a farm of this size (about a tenth of an acre). Important crops consist of heat-loving fruits like eggplant and peppers to soak up the southern sun, compact, low-maintenance crops like cooking greens, and a diverse assortment of vegetables, leaves, herbs, flowers and roots, workshop future crops, capture niche markets, and support systemic diversity. Adam also ferments local vegetables, including some of his own produce, under the F&M Fermented brand. These wild lacto-fermented products can be purchased at the Fertile Underground Grocery. Sky Hill Farm located at the top of one of the last undeveloped hills in Providence in Olnyville. In the past it has been managed by Red Planet Vegetables. Sky Hill Farm is now owned by the Southside Community Land Trust, leased and farmed by Adam. Projects in 2015 include planting a pawpaw orchard and installing drip irrigation. This was the highlight of our neighborhood last season. Lets show some support!